My name is Peter. That’s the place where I was spending my time during the working hours when I worked in Malaysia. From January 2000 until March 2005 I was working for Siemens Malaysia Sdn. Bhd. in Petaling Jaya, nest to Kuala Lumpur. 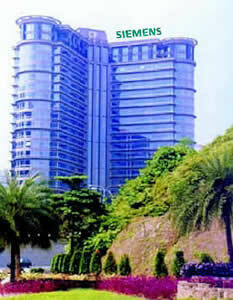 For more information about Siemens in Malaysia click here. It is and was not my intention to report about work on these pages. On the contrary here you will find pictures from events when the work had been done and the office had been closed.